Spicy Sausage Palacios U is not burning or hot in the sense of Mexican cuisine, but rather spicy. 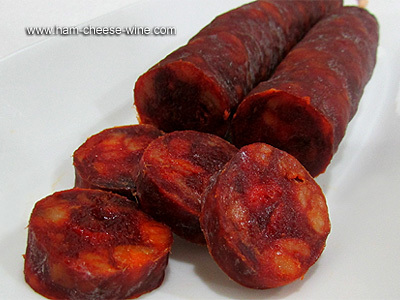 Its flavor is due to a blend of spicy pork, garlic, salt and distinctive smoked paprika, which sets apart the Spanish sausage from those of any other country. Nor nitrates neither nitrites are used in its production. 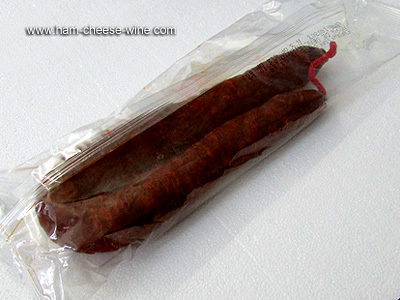 These sausages are fully dry-cured and ready to eat with your favorite cheese and wine, or just a piece of crusty bread. 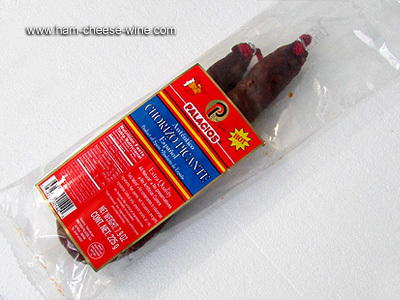 It comes in packs of a single sausage, each package weighs about 0.60 pounds (9.5 oz). They are made without preservatives or colorants, which gives them a unique taste, a prestigious and widely recognized quality that allows Palacios to be a leader in the national and international market. The traditional process of Spicy Sausage Palacios U is very simple and consists of several phases: mincing of meat and bacon, mixing and kneading the meat with spices, rest and maceration, inlay of the mass into pig intestines. In curing time, the sausages are tied and exposed to air in a natural environment, choosing suitable locations based on their temperature characteristics. On the other hand, Spicy Sausage Palacios U has an intense flavor without extraneous ingredients, and it tastes like a true sausage: the spiciness is very well conceived. The only disadvantage is that it is not suitable for sensitive stomachs, but even that is no problem if consumed in moderation. If you like it hot, trying Spicy Sausage Palacios U will be a revelation as it will delight your palate. 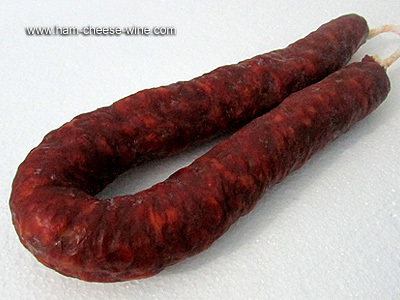 The smoky flavor of Spicy Sausage Palacios U has the distinctive taste of Spanish sausage that sets it apart from the rest of Mexico sausages and from other European sausages. Ingredients: pork, salt, paprika, olive oil, garlic, spices, oregano seasoning (prosodic citrate, Potassium Nitrate, Sodium Nitrate). Store at room temperature. 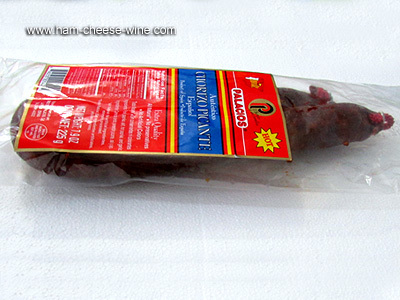 Do not remove the skin to the entire piece of Spicy Sausage Palacios U, only what you will consume. Store in a dark, cool, dry place, a cupboard or pantry is ideal. Sausages suffer transformations in color and taste if exposed to light for periods of time. Cover the cut with a plastic wrap or with a cotton cloth. And especially do not hang off the kitchen, maintain in a horizontal position in the pantry or the place you choose, as temperature changes deteriorate the taste and texture. 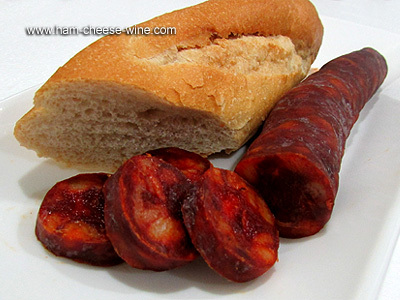 Palacios became the first sausage imported into the United States and remains the most popular of the Spanish sausage available in Spain. Since its foundation, Palacios has strived to offer the best products. Thus, all their sausages are made with 100% natural products, with no preservatives, colorants, gluten or lactose which gives them a unique quality and taste.